This has been on my want list for some time. I almost always find one at Home Goods. The problem with Home Goods is it is always in an ugly fabric. So my master plan is to buy the next one I find at Home Goods and then take it to be recovered. I almost think it's worth the time and trouble to purchase the Restoration Hardware bench and be happy. I really love the nail head trim on this particular bench, and the pillow top seat. By the time I run around ordering and gathering the fabric, and drop off and pick up from the upholsterer, I would be even in price I think. The ultimate score would be to find a vintage bench at a resale shop and save big on the price there! What would you do? Buy the ugly and have it redone? or bite the bullet and purchase the bench ready? Don't you wish sometimes you could twitch your nose and the room would be finished? 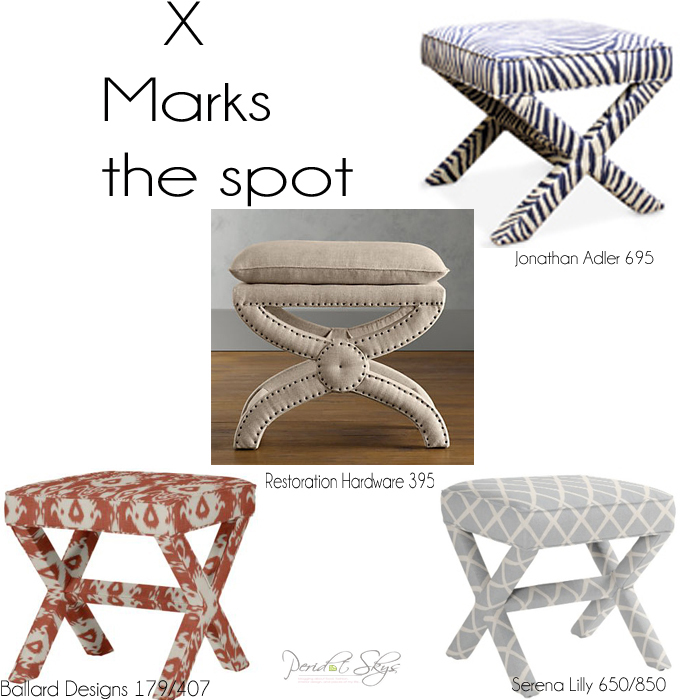 LOVE that ikat bench! perfect for the new house! I know I love ikat too!